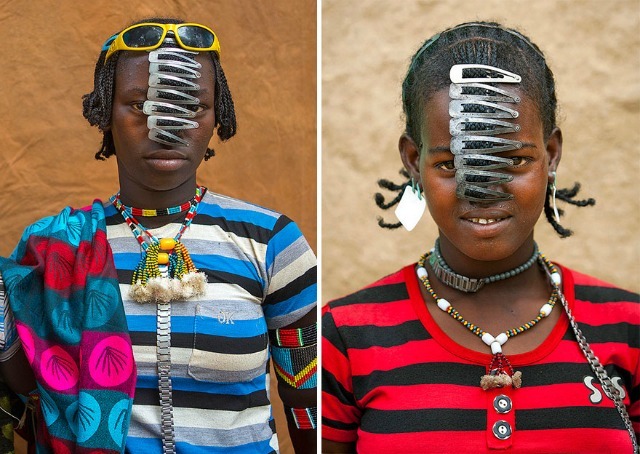 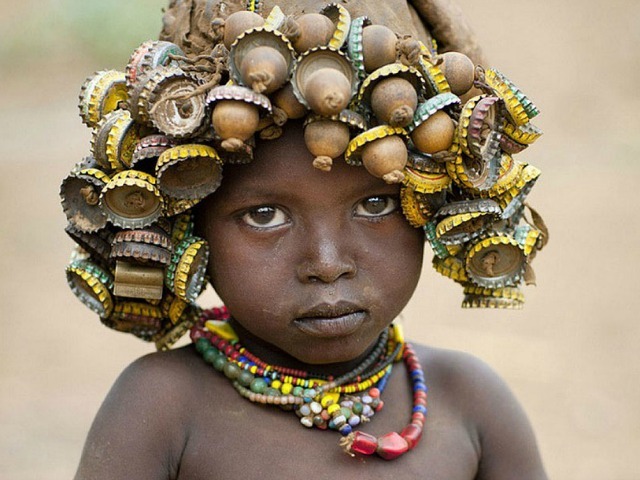 Eric Lafforgue is a French photographer who has spent several years exploring the customs of an Ethiopian semi-nomadic tribe known as 'The Daasanach', a group made up of some 50,000 individuals who re-appropriate discarded objects and manufactured goods. 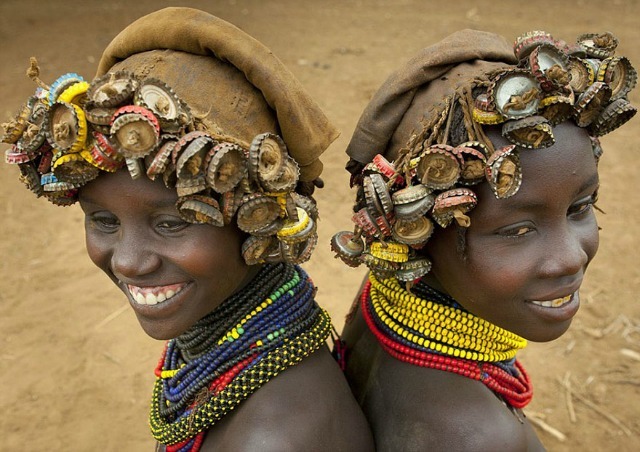 Using bottle caps, hair clips and old wristwatches the women turn these items into beautiful head wear and jewelry, designed to be worn by young and old. 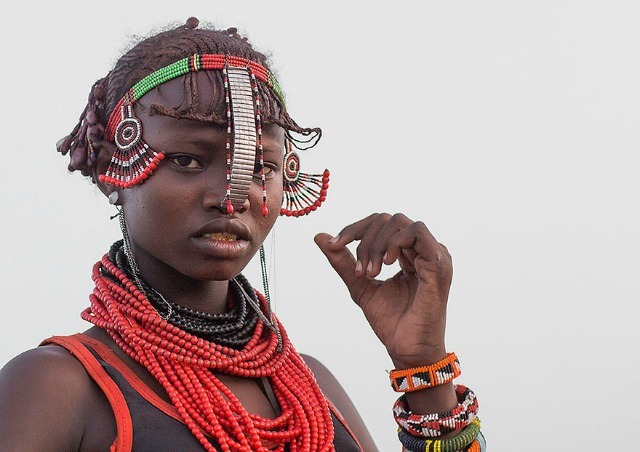 Lafforgue says, “Younger girls and children get the most basic version of the wig, while the oldest women are treated to the heaviest numbers with the most embellishment." 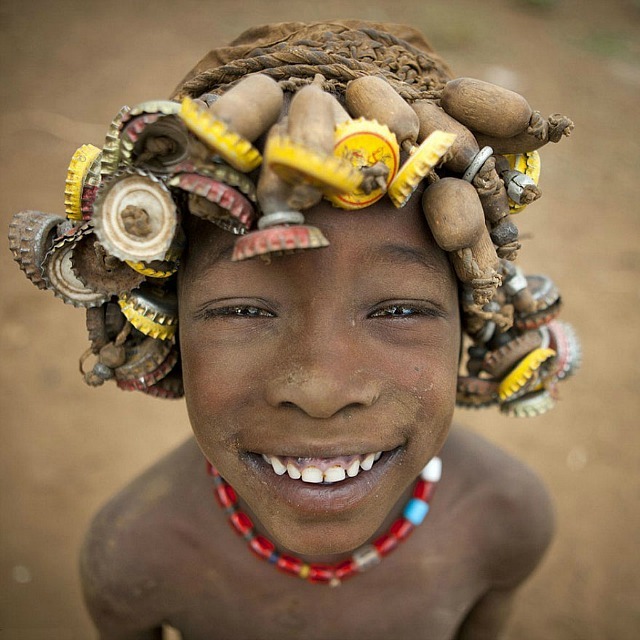 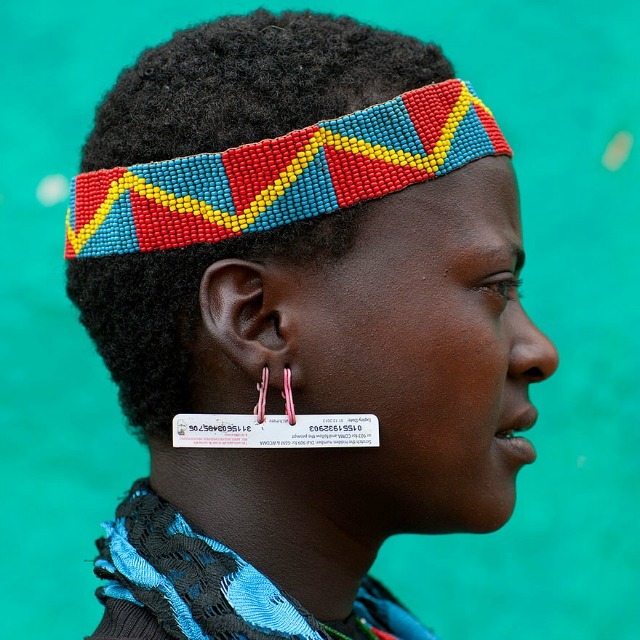 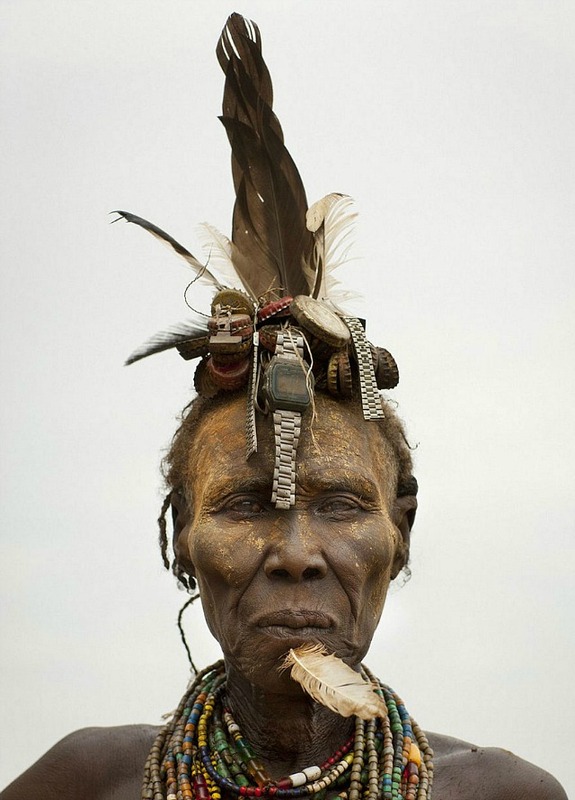 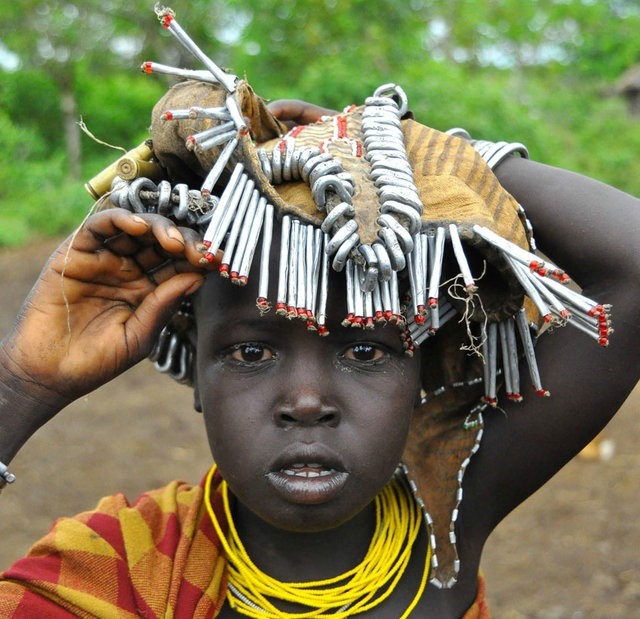 Visit Eric Lafforgue's website for more info.